The essential guide to aligning the intranet with your organization's strategy. Most organizations start intranet projects with ambitious visions of increased employee engagement, productivity, and innovation. Strategy is the link between visions and reality…the plan for turning corporate goals into real behavior changes. 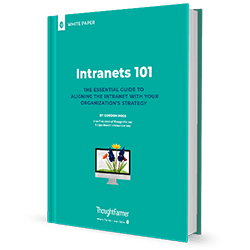 Gordon Ross, VP of Strategy at ThoughtFarmer, provides you with the background knowledge and the tools to start crafting an effective intranet strategy. Get this part right, and the rest of your intranet project will go smoothly. Organizational behavior and intranets: Arm yourself with the knowledge to make strategic decisions by learning the background theory of how intranets work inside organizations. Align corporate strategy to intranet strategy: Help your organization deliver on it’s overall corporate objectives by incorporating them into your intranet strategy. 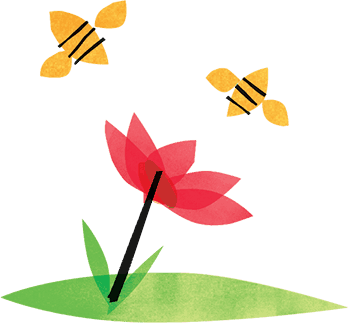 Increase employee effectiveness: Strategy doesn’t just come from the top. Make your employees more effective by giving them intranet tools that help them get their jobs done.